And it was probably me. This is a bit weird, but what on the internet isn’t? So no judgement, friend. Now it is hilarious that I’m one of these “OH THIS BOOK IS MY CHILD” type of people because I plan never to have children because can you imagine what they’d turn out like? Really anxious and smol and furious and covered in dragon scales. Not the kind of quality content this planet needs. * So I just am here to adopt books. But today I want to talk about (1) why books are our children and (2) some actual children in books who are our children. It’s a complicated family tree. If you can’t keep up, go outside and eat a bush and grow yourself some leaves. I absolutely love reading about smol humans in Young Adult books. You know the cute little brothers and sisters? LOVE ‘EM. Probably because I had one and she was ** super cute. Alright let’s get to it, since this is a like a Two Part post today which is pretty impressive for someone who forgot to blog much last week and the world ended because of it. * I did, in fact, just refer to children as “quality content”. I’m not sure if I should leave quietly or be thrown out. ** I say “was” like she might’ve died but yet…no. She’s on twitter and is occasionally mean to me. 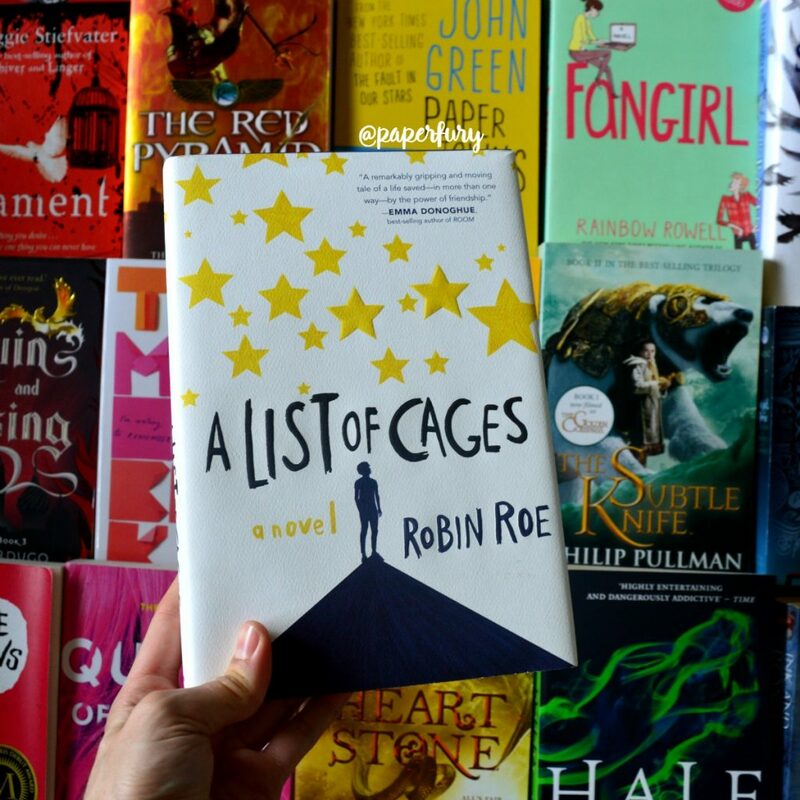 I’m also linking up with Top Ten Tuesday for their prompt “Top Ten Books I Want My Future Children to Read” which I couldn’t do strictly properly because of aforementioned non-child-collecting reasons. And also I fel like this prompt should be about me picking out childhood books I loved….AND I DON’T REMEMBER WHAT I READ WHEN I WAS 8 YEARS OLD????? I DON’T REMEMBER WHAT I READ YESTERDAY. Because we’re OLD. And we just noticed that the 17-year-old protagonist who is super super cute…is like…a lot younger than us. Don’t be creepy. Because both children and books need protecting. Especially in this day and age where a lot of trolls get a kick out of just hating on things. So if you find something good and precious in a book you just GOTTA PROTECT IT. It’s instinctual. If you’re not into romance, this is a better way of saying “I’m in love with it.” Because like I LOVE something, but I’m not IN LOVE with it. Because romance: why. Just like children, we take photos of our books and show them off. These days it’s all about #bookstagram. So forget whipping out your phone to show off a picture of your cute baby. We’re all here to say, “LOOK AT THIS GORGEOUS COLLECTOR’S EDITION! !” which is 500% a life improvement on photos of literally anything else. They’re both high maintenance. When you sink a lot of money into something, you take good care of it. Like, okay whatever you buy your kid Johnny some good shoes so his legs don’t fall off. And you buy your book a good shelf so it doesn’t get crumpled. It’s THE SAME THING. All this care-taking of books —> absolutely leads to them feeling like high maintenance children. It’s internet culture and I don’t even know why. It just happened, a lot like how we stopped using text language unless we want to use it ironically. If you ever see me say “lol” or “lmao” or “u” instead of you —> there is a total chance I am mocking myself into an early grave. We don’t question internet culture, we just go with it. Right, so everything is super clear, is it not? It is not. I’m glad you think it is! 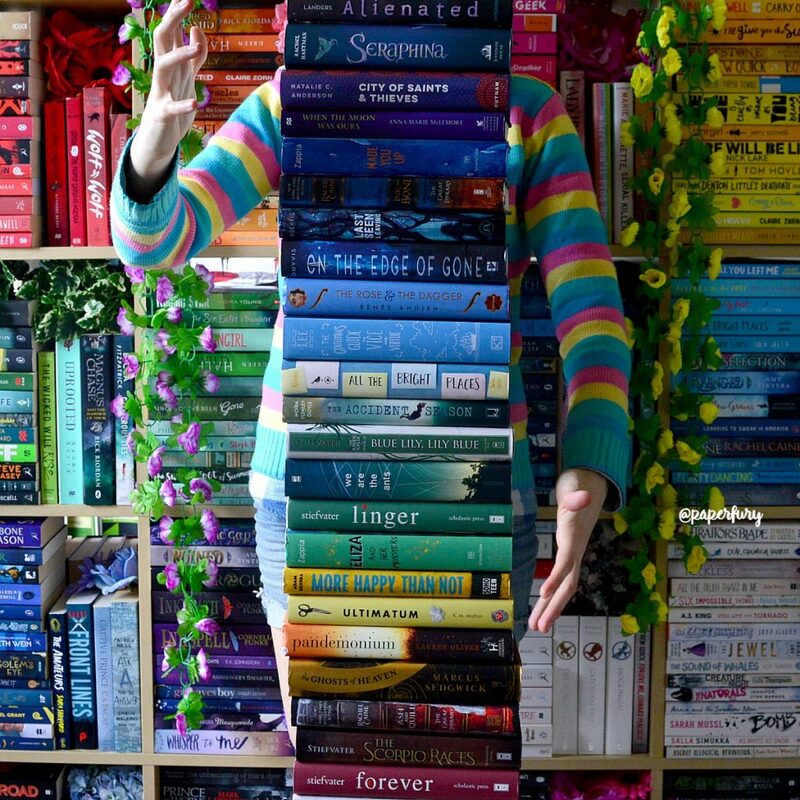 Now I want to mention some of my ACTUAL favourite YA-featuring bookish children! The ones who are the younger brothers and sisters and babies! I absolutely adore them in books, because families are A+ and I want to read about all the smol ones. * Love me. Preorder it. 209 days to go. 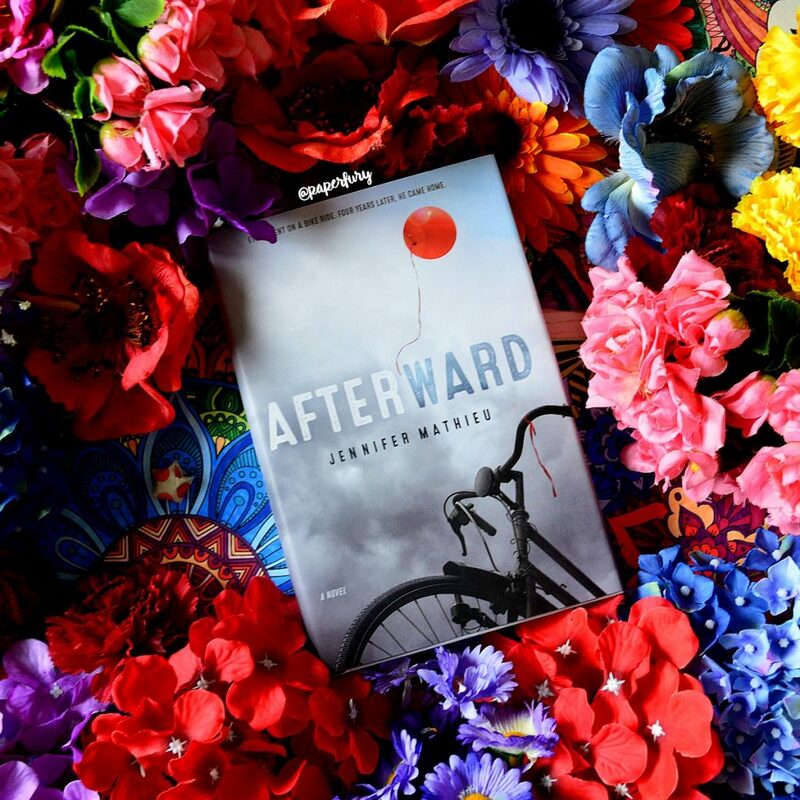 This book is REALLY dark and brutal and about kidnapped kids…so basically go into it if you’re ready to have your feelings thrashed and shredded. Caroline’s little brother, Dylan, is 11 when he’s kidnapped. He’s ADORABLE and also has autism (he’s non-verbal) and it’s a really well portrayed and I have feelings for this smol child who breaks my heart. Save all the smol children. Apparently all the cute little brothers are named Dylan these days. BUT ANYWAY. He’s 5 and super sick so his family take him to this magical island where they eat magical fish while his older brother Rudy (the protagonist) falls in love with a magical merboy. Everything hurts and I’m DYING. Because so is the merboy. And Dylan. #HURTING I soooo love this book. N’nnngh I’m so IN LOVE with the Blackthorns I cannot even. Like protect them. PROTECT THEM ALL. I mean they watched their parents be murdered and Julian is being a 17-year-old dad and my HEART CAN’T TAKE IT. Legit my favourite fictional family ever. Tavvy is 7 and adorable and sat in sugar. Dru is 13, sweet and badass and into horror. Livvy and Ty are 15-year-old twins and Ty is autistic (!!!) AND THEN THERE’S MARK THE LIGHT OF MY LIFE. I mean, he’s 17. But my son. He was just the super sweetest little kid. I think he was 9??? I have no idea. He took a purse to school, ok, and I want him to grow up into the most pure cinnamon son of them all. And I love that Jack just protected his decisions no matter what. BROTHERS. Still lowkey pretending this is a standalone because the finale make me want to bite a brick wall. ANYWAY SHE WAS THE SWEETEST. 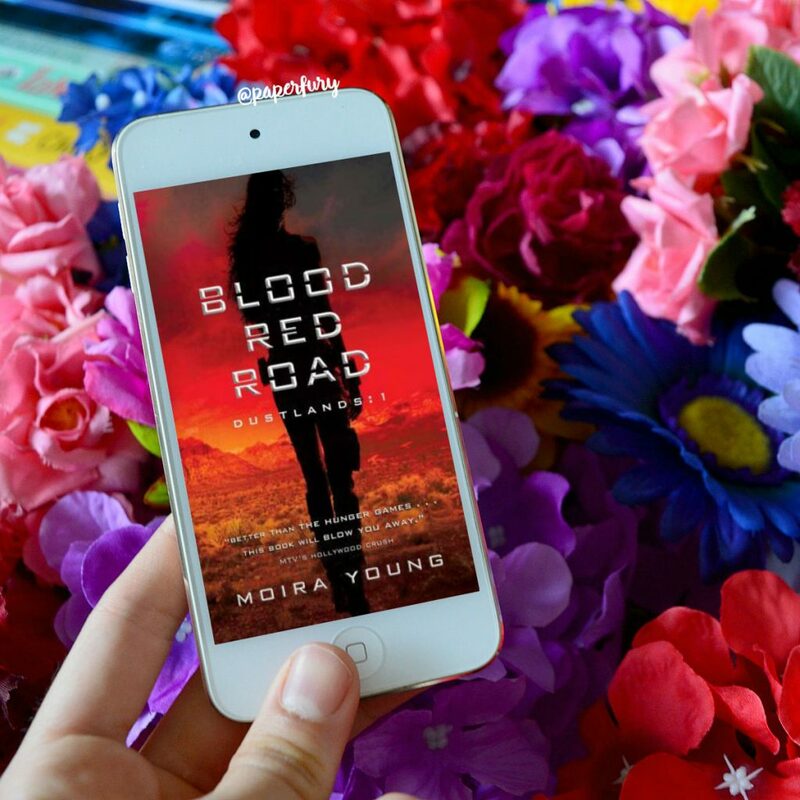 It’s a really bloody gritty dystopian where everyone is getting shot and Emmi is like SWEET BUTTERFLY WINGS but trying to be as sassy/tough as her big sister, Saba. They fight like anything and I love it. This is totally cheating because Vicious is an adult book…but if I don’t like break my own rules??? Who have I become??? ANYWAY I LOVE SYDNEY. She also rose from the dead and has superpowers and is very smol and sweet. And Victor (AKA SUPER BADASS) takes care of her. It’s also been 3 years since I read this!?? I need to reread because I recall nothing. Except for chocolate milk and death. OK so he’s 14 but you know what? Hush. He’s a smol damaged abused child and BREAKS MY HEART. 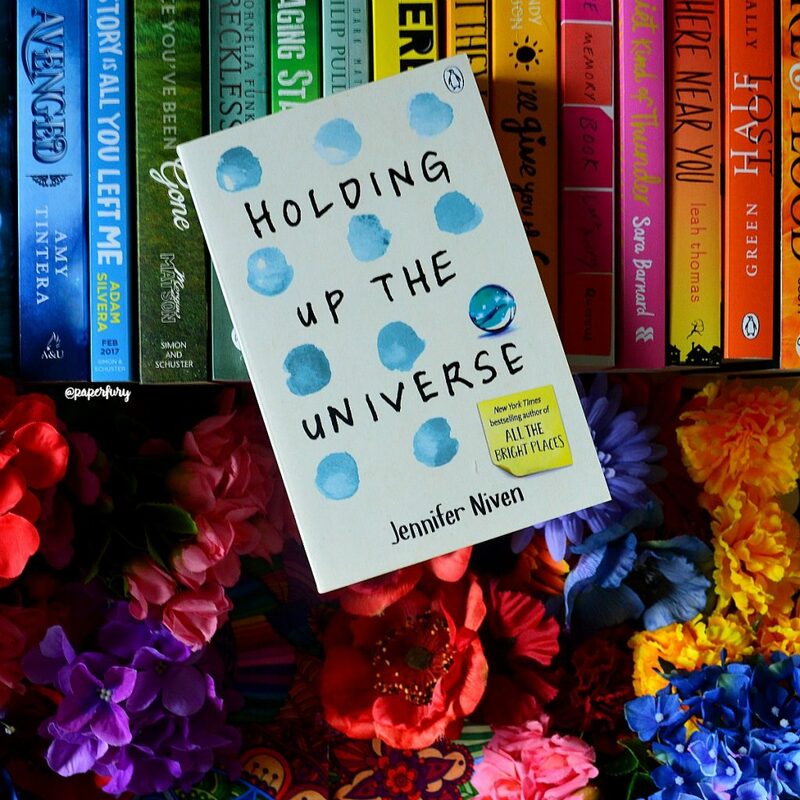 No really, this book is my favourite and I have so so many feelings and jfadskl read this if you want to punch yourself in the face. Plus Adam doubles as Julian’s “big brother” figure and their relationship is SO GOOD AND SWEET. He also has dyslexia! This news just in: WILL GIVE JULIAN THE WORLD IF HE ASKS. do you ever call characters (or books) “my child” like a possessive mother hen protector??? TELL ME WHICH ONES. and do you have any little siblings/younger characters in YA who you adore?!?? also feel free to link me to your TTT posts! I have never called a book, “my child” but I have hissed at people who have bad mouthed my favorites. 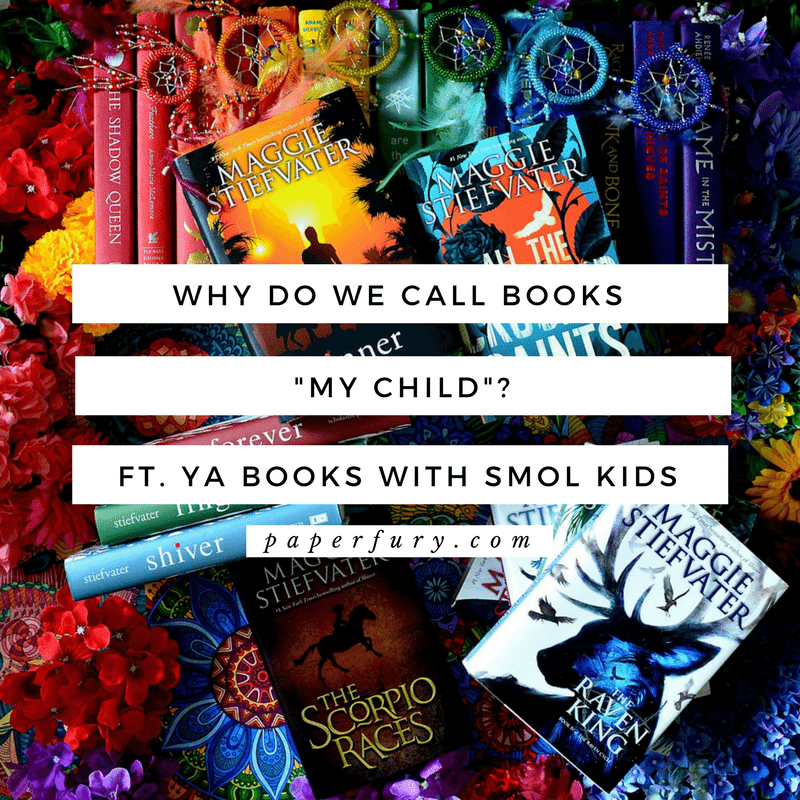 I am iffy about children in books (and movies and television too tbh). Maybe it is because I am a teacher so I have an idea of what is normal developmentally but man is it often way off. I was just reading a book with a nine year old sister in it and she was acting consistently like a five year old. It was clearly the writer’s problem. That kind of stuff just itritates me so much! But i love all the characters that you mention that I have read. You have mentioned Here Lies Daniel Tate a couple of times now so I will have to give that one a go. Btw: I just tried to preorder your book. Again. Because I am a goldfish apparently. So much hissing when people bad-mouth our favourites though.😂 Like usually I’m chill because it’s really okay if not everyone agrees, but HOLY HECK I can’t even if it’s like my ALL time favourite. I have to remove myself.😭😂 And I do get that about kids acting the wrong ages. I think it’s hard to write because kids vary a lot though?! Like I wrote a 5 year old and got told by a critique partner she acted like a 10 year old…but I based her like ENTIRELY off my nephew of the same age. SO. It can be hard to gauge. But then I’ve read YA when the 15 year old is acting like a 12 year old.😂 So I hear you. HERE LIES DANIEL TATE IS AMAZING. Oh hey, I’m glad we can agree that BLOOD RED ROAD was an excellent standalone and never had any sequels. Also, my god, THE SCORPIO RACES is good. AND TEETH. JUST. *SOBS AND WAILS ABOUT TEETH’. Kell from ADSOM is definitely my smol magician child who means so well. And Temeraire from the Temeraire series is my large earnest dragon child, with his smol very loyal human Laurence who has problematic but time-period-accurate attitudes and I LOVE HIS STUPID LOYAL FACE. DUDE, I’M STILL DEVASTATED.😭 WHY WERE THE SEQUELS LIKE THAT. I DIDN’T SIGN UP FOR THIS NONSENSE. And ajfkdslad The Scorpio Races will forever have my entire heart. SEAN THOHGH. *howls to the skies* HOLLAAAAAAANNNDDDDDDDDD. HOLLAND IS ALSO A PRECIOUS CHILD. THERE IS NO DOUBT. OOh nice! I struggled with this one since I used my niece as the child! I feel like I don’t want to thrust all my favorites on her. She might gravitate to a totally different genre than me. It’s already getting harder to pick out a book for a nearly 9 year old! So much easier to buy cute storybooks for a 2 year old instead! Lol! The writing route: BASE ‘EM OFF THE SIBLINGS. I have seven of them. Eep. And I can’t believe I haven’t read a single one of the books in this list. Seriously. *facepalm* How about I adopt a library? *whispers* You muuust read The Scorpio Races!! AHH!! I SO wish I had a brother like Finn. I have 4 older ones and 1 younger one and they’re all giant disappointments since none of them are Finn. Of course, I call my books “my babies”. DO YOU THINK I LACK A HEART??? And Harry Potter is the epitome of siblings and family and just warm, gooey feelings. for me. So yeah, I adore all of the smol wizards and witches. OMG THE HARRY POTTER CHILDREN. I mean, they are all the children, but they are smol and precious and deadly. HAVE YOU NOT HEARD OF AUDIOBOOKS. No, I’ve never called a book my child. I didn’t know anyone did that. How interesting. I love this!! Also, yes. When did we get so old???? Nothing makes me feel older than reading fantasy because the main character is always 17 and I’m like, excuse me??? At 17, I couldn’t organise a revision session let alone a REVOLUTION. The worst is when your book child is an animal aka Manchee in The Knife of Never Letting Go (*sobs hysterically while shaking head in denial). You just know they gonna die or lose a limb or something and you’re going to be left looking for a reason to live in the bottom of an ice cream tub. omg don’t even REMIND ME OF MANCHEE I’m still not okay and it’s been like 2 years since I read that. Books are definitely high maintenance! First, you got clean them. Then ensure they get enough light. Constantly having to rearrange them because they constantly end up in a brawl. Especially the fire spitting one. Not to mention having to water each and every one of them with our tears??? Children in YA I love? Are you seriously asking me to pick a favourite?!?! *whispers*Liesel Meninger.Rudy.Nynaeve.Mathrim Cauthon.Sebastian Blackwell. * HOW DARE YOU ASSUME I’D BE SO UNCIVILIZED! I haven’t read ANY of these books. Wow. Let me just crawl back into my hole and…see when the sun goes out okay? Send me some tea, Cait! OMG HOW DID I FORGET THE BOOK THIEF KIDS. I LOVE THEM AND ALSO I HURT. oh, Finn. Finn seems to fly very under the radar and that’s very sad because he’s such an anxious little sweetheart and I agree with you about the OCD…has Maggie Stiefvater confirmed it anywhere? And Julian from A List of Cages needs to be protected at all costs. ALL. COSTS. I’m not sure if Maggie Stiefvater HAS confirmed it? (I’m way too wildly shy to ask.😂) But he has so so many markers and since she has OCD it makes totally sense imo. (Like Finn’s window-checking and hand-washing rituals.) JULIAN THOUGH. BREAK MY HEART WHY DON’T YOU, BOOK. Finn is one of my favourite Stiefvater characters. He’s too adorable. A lot of the books in this post are on my TBR list, so thanks for reminding me that I’m a slow reader. 🙂 I’ll read them someday. I’ve never called a book “my child.” I reserve that title for dogs and nacho platters. I called my favorite books my children in Speech class once and the entire filthy-minded class collapsed on the floor. Not even kidding. So now I’m somewhat paranoid of admitting my strangeness in public (THANK GOODNESS FOR BOOKISH BLOGS – WE’RE ALL STRANGE HERE!) but after a book destroys my life- I must snuggle it and put it to sleep and legally adopt all darling characters into my ginormous family. Plus it’s basically like adopting books who need caring for so YES WE’RE ALL STRANGE HERE. Congrats on your new book release! I checked it out. that’s amazing! I love your lists. And yes, books are our children. I love my collection. My house overfloweth – each bookshelf is double stacked – some triple. And I love each and every one. And omg there are never enough shelves, right?! Oh my gosh yes. Kids and books are high maintenance. Especially together. Trust me. I find that in most books I read, the author just makes the younger siblings act annoying. Maybe I’ve been missing out on some good books? I’M THE SAME SO WE CAN BE WEIRD TOGETHER. Aww but I’m sad you don’t like the younger siblings in books! I usually adore them! While I’m on a Supes tangent, I love Lucy from Gwenda Bond’s Lois Lane series. She’s so sweet and snarky at the same time for such a small human. THIS IS EXACTLY WHAT I’M SAYING FOR SURE. I mean when it comes down to it, our literary or fictional children just need protection. No matter if they are like kind of gods or smol kittens. IT’S ALL THE SAME. Yes, but usually while stroking the cover lovingly after ranting for five straight days. Let’s see, the short list would be MY ENTIRE HOME LIBRARY + HALF OF BARNES AND NOBLE. I lowkey can’t remember the actual books, pretty sure I’ve done it to every single one I’ve read at least once though. Usually in defense of said child. EDEN BATAAR WING FROM THE LEGEND TRILOGY IS A SMOL SMARTY PANTS WITH TWO BIG BROTHERS WHO WOULD DO ANYTHING TO PROTECT THIS BEAN SAVE HIMMMMMMMMM. 10/10 was hoping you’d ask if you’ve written any smol bean, didn’t get asked, getting answered anyway. I have several smol beans in my main WiPs. 1) Abbey James, adorable lil 4yo who KEEPS GETTING TAKEN AWAY FROM HER BROTHER, 2) Karime Luther, who’s twelve and has the upper body strength of the Hulk and scares the crap out of literally all of these 15-20 yos they legit fear her, 3) Phoebe Nixon, fiery little eight yo who lowkey tried to kill her half-brother and his best friend, and my personal pride and joy, DANIELA EVERGREEN, a 17yo genius who’s only five feet tall, but is lowkey trying to take over the world but is only doing it because she needs love. And hey I’m glad you answered about your own smol beans! They sound adorable and definitely in need of protection and also Phoebe is terrifying I’ll just mention that. *dramatic anime music* It is our sworn duty as knights of the written word to defend thine characters who are smol and adorkable, lest the authors slay them in ink. She’s….. a handful. bUT an adorable handful. Strange the Dreamer is SO GOOD THOUGH!! This made me chuckle. I might have called books my babies, at least? Also your reasons are pretty legit so it works. As for kids in books, I think my fave of ever is Kitty from To All the Boys series. She’s epic and I want her to be mine. Agree about Emmi too! I think of BRR as a duology, because I feel you with book 3 but I did like book 2! I…actually don’t often refer to books as my babies and I’m inclined to call my own characters my babies more than someone else’s. I’ve only read Strange the Dreamer and Vicious on that list, I’m sorry. I should get on that, I suspect. But Oh my gosh, I love Sydney and I can’t wait for the sequel to come out! And lol, I only read that book last month and my most prominent memories of it are also the chocolate milk and death. Though honestly, I think you can take any V.E. Schwab book and say it’s about death and you’d be right. My absolute favorite smol child from books is Dairine from the Young Wizards series. She got tired of her big sister being the important one so she ran off to the other side of the universe and started a colony of adorable robot turtles. I think she was 11 at the time. Actually I do agree with that too.😂 I sometimes call my characters “my smol sons” but mostly I try not to because I torture them so much that makes me an incredibly baaad parent. Sydney is ADORABLE and I’m so so excited for the sequel!! 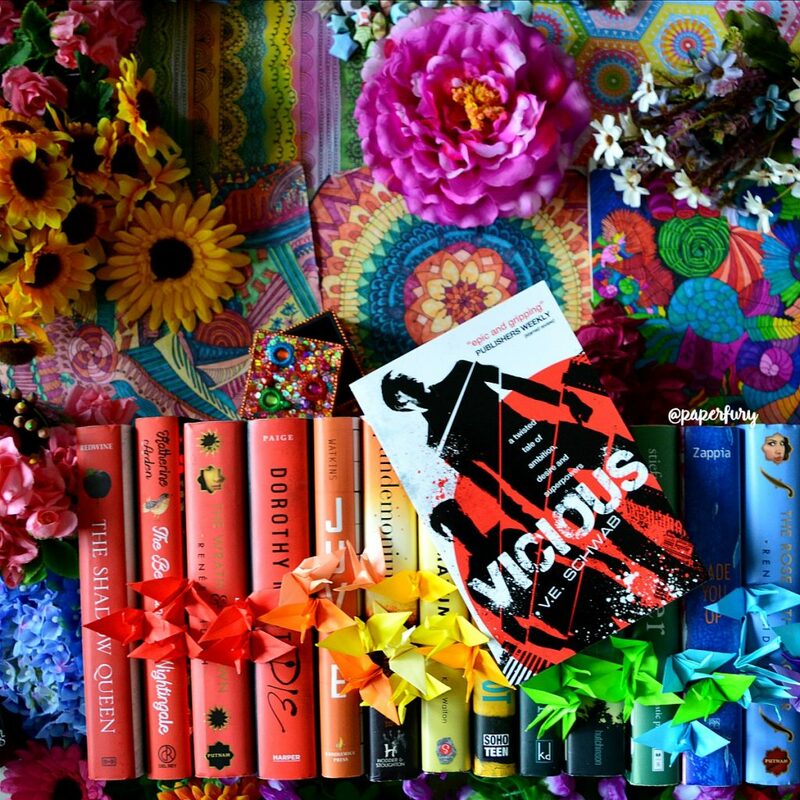 I’m trying to decide if I should reread Vicious now or wait till closer to the sequel coming out.😂 And you are not wrong. Just say “death & ___” and that summarises a Scwab book. Death and magic. Death and chocolate milk. Death and monsters. IT’S SO MUCH FUN. They arrrrre. They are high maintenance and can’t do anything themselves and get lost and shouldn’t be left out in the rain. TOTALLY exactly like children. Book children need to be protected!! 100%! I also totally agree with wanting to know Finn’s age. You HAD to know everyone’s age as a kid. There was an order to things and it needs to be respected. If you were oldest, top of the pack. But if you weren’t oldest, you needed to respect their position as oldest ;P. I also like to know how characters look so I desperately want to know their age. Dusty was all sorts of levels of adorable I CANNOT EVEN WITH THE ADORABLE. Other books = Not My Child. MY books – MY BABIES!!!!! Haaaahhaha I know right?! I mean I’m 23 so I guess in The Olden Days I would have 4 children and a potato field BUT I’M TOO YOUNG FOR THIS. I JUST WANT TO CALL MY BOOKS MY CHILDREN AND CUDDLE MY DOG. I have been known to refer to books as children before…..usually as a response to people asking me to pick a favourite book and I respond with, it would be like picking a favourite child! I am also very protective of my books and will hiss angrily at those who badmouth my favourites, so I guess I am kind of like a protective mother? I’m usually more into referring to characters from books as my “precious children” though than the actual books themselves. I can’t actually remember reading many books with young kids in them recently? Matilda is one of my favourites and she’s 5 but then she doesn’t really act like your average five year old, given that she’s a genius and everything. It has clearly been a while since I read the Scorpio Races as I had no idea who Finn was when I read his name! I never really feel all that much older than YA characters, I mean I’m only 21, so a 17 year old character is only 4 years younger than me and it feels like less because I swear I was only 17 like two seconds ago! I also don’t plan on ever having kids, so I went with books I’d pass on to nieces/nephews for my post this week. I will be much better as fun Aunt Jo than I ever would be as a mother! 2) The Geless siblings (City of Orphans) Maks is a fantastic older brother and Jacob is so sweet and Ryker is adorable and Erik thinks he’s funny when he ain’t but we love him anyway. 3) The Baudelaires (A Series of Unfortunate Events) I want to adopt the Baudelaires. I would take care of them, I promise. I would shield them from the HEARTLESS CRUELTY OF THE WORLD. 4) Marcus (When You Reach Me) I want to save Marcus so badly. He is my little Einstein and I love him so much. I haven’t read any of the books you mentioned in your post but I can see your devotion to your children and I understand how you feel. The feelings are painfully real at times. Ohh I love Ender too!! I think he was adorable in the movie.😂But Ender-in-the-book was obviously better (because the book is always better) and OMG HE NEEDED PROTECTION FROM HIS HORRIBLE OLDER BROTHER UGH I HAVE FEELINGS. I also adore the Baudelaire’s!! I was sticking to YA for my list but they’re like the ultimate smol book children. All my books are my children (and so is my cat, but that’s another story). Aaaaand as for younger siblings/characters in books….. There is a surprisingly low amount that I can think of… What is it with YA characters lacking family members? The main one that comes to mind is Kitty from the Lara Jean series! 100% yes to Sydney from Vicious! Sydney was so so adorable!! I absolutely need to reread! Kitty from To All The Boys I’ve Loved Before and Prim from the Hunger Games. Both for different reasons. Kitty can be a brat but is also responsible for 90% of the funny lines in that trilogy. Prim is a sweetheart and I like characters who are just plain nice. Call me boring, but it’s a good thing to read about. I totally loved Kitty too!! I mean, she really mucked things up.😂 But there would be no story without her, right?! And I love Prim!! Oh Finn. Finn Finn Finn. Every time he washes his hands for a million years I wanna show up with hand cream so his little paws don’t dry out. But really, I don’t refer to books as my child, and it’s very rare I’m like, “THIS CHILD IS PRECIOUS PROTECT THEM AT ALL COSTS” about a character, but when I do, it’s usually someone older and/or probably way more capable of keeping themselves safe than I am. Like Ronan and Adam. PRECIOUS ANGEL CHILDREN MUST BE PROTECTED but like Adam masterminded a fake murder and Ronan can dream up night terrors so like do I really need to keep an eye on them because I feel like they don’t need me? Or like Frank Castle from Netflix’s Daredevil and Punisher series (I get there’s more to his history than Netflix, I just like Jon Bernthal the mostest). PRECIOUS CHILD STOP FRIGGIN HITTING HIM but like whoa, Britt, he’s a decorated Marine who ran spec-ops and can easily take down the who’s-who of New York crime terror because he’s the most dangerous man in the room BUT HE CALLS LADIES MA’AM AND LITTLE GIRLS SWEETHEART AND RESCUED A PITBULL FROM A DOG FIGHTING RING AND WILL FIX YOUR SINK AND JUST LOVES KAREN PAGE 10000%. But yeah. Smol bean. Super precious. Must protect.